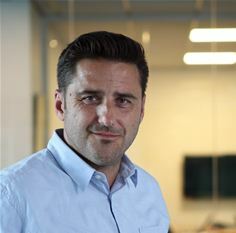 Almere/ Dortmund/ Sophia Antipolis, February 19 2019 – Within Reach has strengthened its international management team by appointing Centile Managing Director Bertrand Pourcelot as Head of International Sales and Marketing. Bertrand is responsible for rolling out Within Reach’s international sales and marketing strategy based on the group-wide portfolio as well as for further developing the existing international operations of the group in UK and France. The sales and marketing teams of Voiceworks, Swyx and ipnordic – Within Reach’s labels in the Netherlands, Germany and Denmark – continue as before. They will work closely with the new international sales and marketing team led by Bertrand, while their organisations and reporting lines remain unchanged.